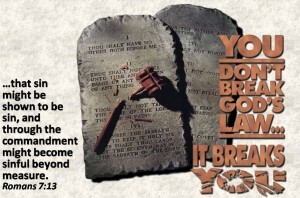 In Galatians 3:21-23 Paul turns from denouncing the law as a means of salvation to talk about what the law actually is. The law is good. God gave us the law as a mentor to lead us to Christ. It does that by pointing out our need for a savior. It convicts us all of sin. 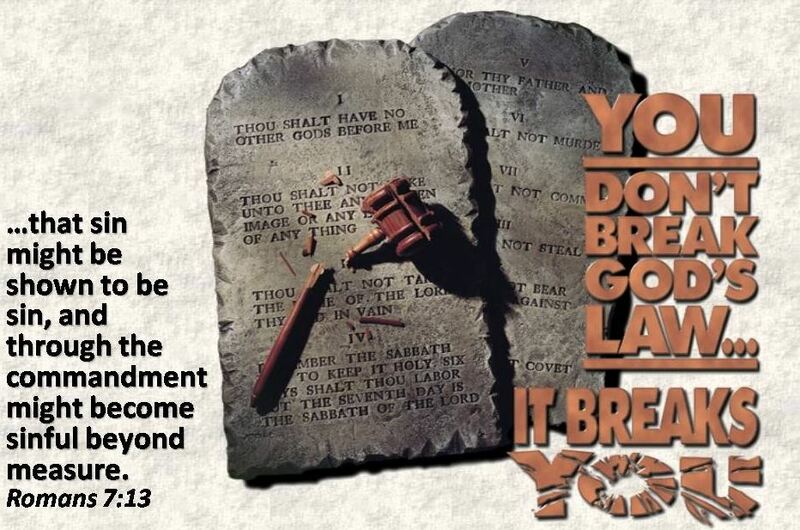 Here’s what Paul said, “Is the law then contrary to the promises of God? Certainly not! For if a law had been given that could give life, then righteousness would indeed be by the law. But the Scripture imprisoned everything under sin, so that the promise by faith in Jesus Christ might be given to those who believe. Now before faith came, we were held captive under the law, imprisoned until the coming faith would be revealed.” We were all “captives” of the law. That means we were slaves. It is only through Christ that we are set free. The law with the reality of our sinfulness opens the door to our salvation through faith in Christ. It doesn’t save anyone. It just makes it clear we need to be saved! Evangelist Fred Brown used three images to describe the purpose of the law. First he likened it to a dentist’s little mirror, which he sticks into the patient’s mouth. With the mirror he can detect any cavities. But he doesn’t drill with it or use it to pull teeth. It can show him the decayed area or other abnormality, but it can’t provide the solution Brown then drew another analogy. He said that the law is also like a flashlight. If suddenly at night the lights go out, you use it to guide you down the darkened basement stairs to the electrical box. When you point it toward the fuses, it helps you see the one that is burned out. But after you’ve removed the bad fuse, you don’t try to insert the flashlight in its place. You put in a new fuse to restore the electricity. In his third image, Brown likened the law to a plumb line. When a builder wants to check his work, he uses a weighted string to see if it’s true to the vertical. But if he finds that he has made a mistake, he doesn’t use the plumb line to correct it. He gets out his hammer and saw. The law points out the problem of sin; it doesn’t provide a solution.